I have been racing for about 20 years. I started at Mt. Hood Meadows back when Mike Annett was the Masters coach. Both my boys raced for Meadows and South Salem High school, and I spent a lot of time working races, doing everything from gate keeper to timing, starter, referee, chief of course and even did TD for the High School league for two years. After the boys finished school we skied for several years with Steve Korsak. Steve had a great perspective on Masters (adult) racing. In the late 90's the Tichy family moved to Government Camp and started doing Masters camps. I started with them at that time, and have trained with them since then. 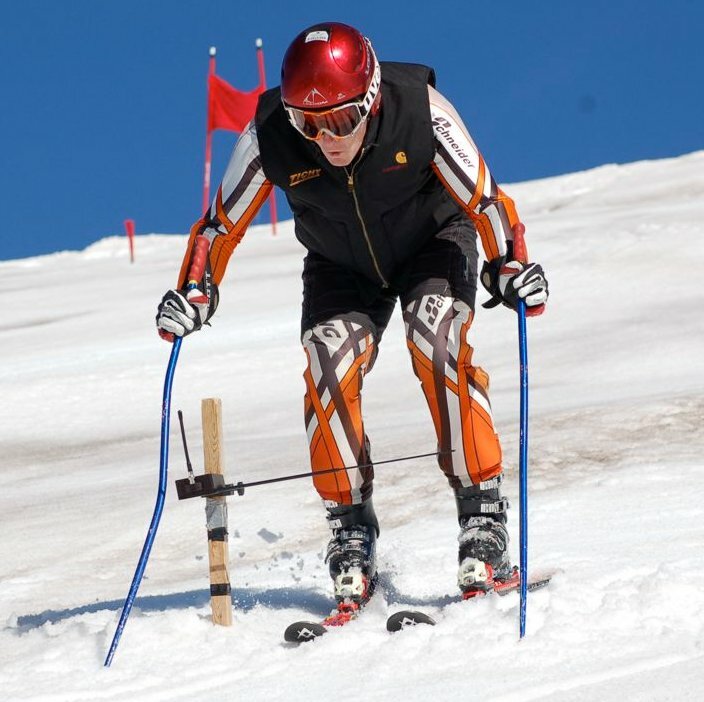 In 2009 I volunteered with Timberline Ski school to set courses and help with race coaching. I plan to continue racing and traveling to Masters races in the North West (PNSA) area. My day job is as a general dentist. I practice in Salem. Other activities include hockey(retired), mountain biking, hiking, rollerblading(retired) and exercise in general.